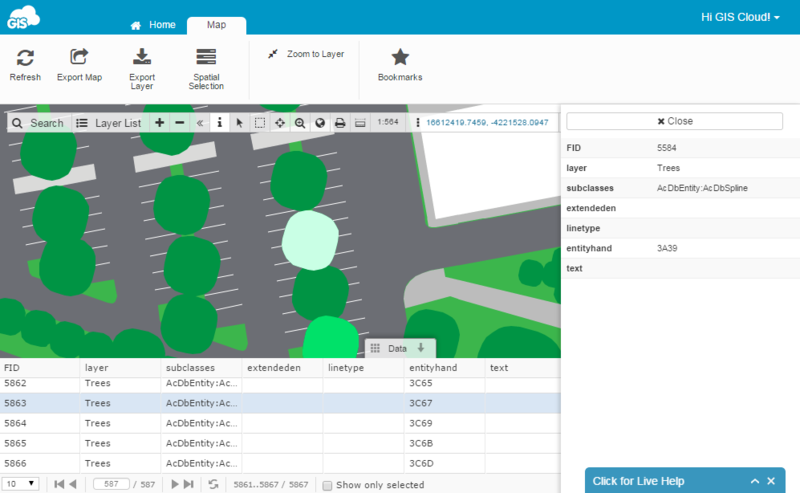 Data grid is displaying all features attributes of the selected layer. Select layer in the Layer List. 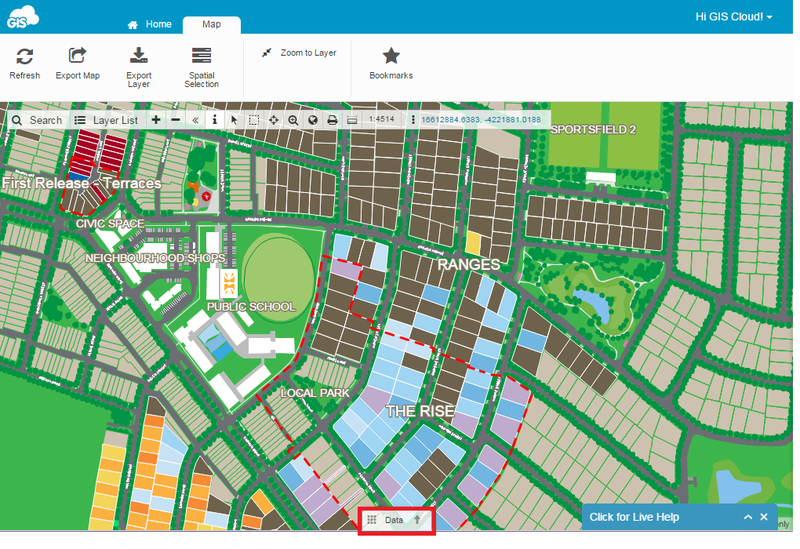 Hold and drag Data Grid button from the bottom of the map view to expand Data Grid. Browse through attribute data associated to each feature of selected layer. 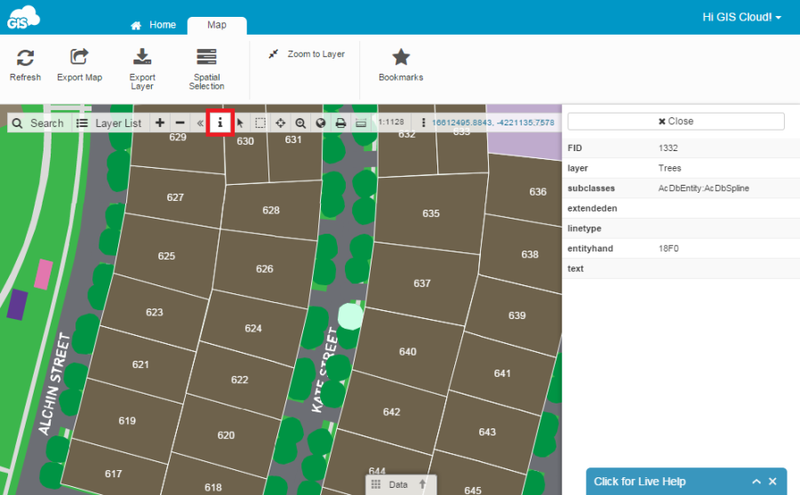 The selected feature is zoomed and highlighted when you click on the attribute associated to it. Identify tool enables you to see the attribute data of the selected feature in the Info panel. When the tool is used the Info panel appears on the right side of the screen.